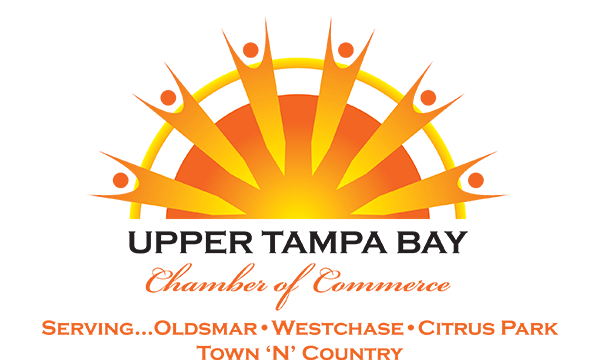 The Upper Tampa Bay Regional Chamber of Commerce is all about developing improved business to business opportunities. Business is all about visibility and contact. To meet both these objectives the chamber has initiated a corporate sponsorship program to help our entire operation run more smoothly and meet the quality standards that our members deserve and have come to expect. Their support helps ensure the success of all our events year long from breakfasts and luncheons to Oldsmar Days and Oktoberfest. It also helps us keep the costs for attendance at a minimum as well as assists in stabilizing our membership investment fees. Simply, our Corporate Sponsors provide benefit to our entire membership base as well as the community. What do they get in return…365 day a year recognition as chamber sponsors on our website as well as at all our gatherings and events. That is high visibility in our dynamically growing chamber base! Businesses must be a UTB Chamber member to become eligible for corporate sponsorship. For more information about becoming a Corporate Sponsor, please contact the chamber’s main office at 813-855-4233. Please feel free to visit our Corporate Sponsors’ websites by clicking on their link above.